As a technology that can comprehend, act, and learn, artificial intelligence (AI) is poised to transform business processes and productivity across industries and the economy as a whole. Already, companies are harnessing it in a range of forms, from software that senses what consumers need to a supply chain that can “think” in real time. With AI starting to reshape industries, upskilling the workforce so it can thrive in this new environment is becoming a critical business challenge that CEOs need to solve. As Director of the MIT Initiative on the Digital Economy and Professor at MIT Sloan School of Management, Erik Brynjolfsson has spent years researching the effects of emerging technologies on business strategy, productivity, and employment. 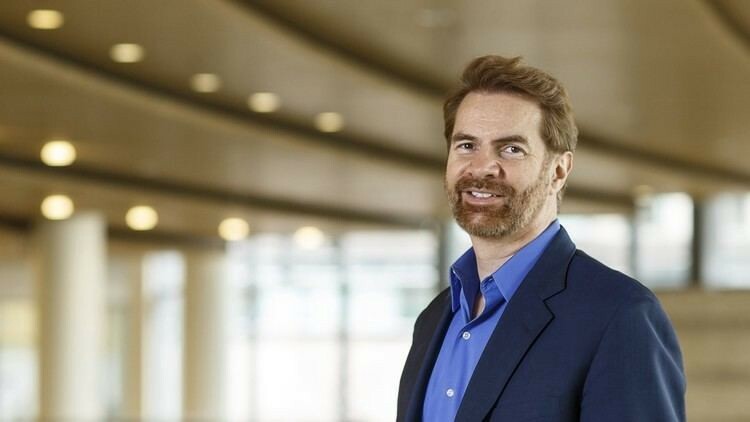 We caught up with him before he participated in a conversation about AI and ethics with his MIT IDE co-author Andy McAfee, and Salesforce’s Kathy Baxter. We discussed what companies need to do now to create a workforce that can thrive in an AI world, and the risks that come with failing to adapt. Q: Where is AI making the biggest impact on business today? AI expert Dr. Kai-Fu Lee has said that focusing on incremental gains like improving customer service is missing the point. In his view, the real opportunity of AI is for companies to rethink entire business models. Where are we starting to see that? AI’s biggest impact on business so far has been in the subfield of machine learning. Two sectors have been especially quick to use it for prediction. The first is digital advertising, where huge amounts of digital data are processed to help businesses decide which ad to show customers as they read a piece of content. The other is finance, where machine learning is being used to help automate very high-speed trading. Q: You’ve discussed how vital it is to adopt AI technologies in a holistic way, rather than piecemeal. If business leaders don’t make a comprehensive change, they might end up worse off. So, what steps should companies be taking? Harnessing machine learning can be transformational, but for it to be successful, enterprises need leadership from the top. This means understanding that when machine learning changes one part of the business — the product mix, for example — then other parts must also change; from marketing and production to supply chain, and even hiring and incentive systems. A century ago, factories electrified without rethinking their production lines and therefore saw no productivity benefits. In much the same way, machine learning technology without management and organizational change will be ineffective. Q: McKinsey research suggests that between 75 million and 375 million people globally may need to switch occupational categories by 2030. The World Economic Forum’s The Future of Jobs report also found that 35% of core skills will change between 2015 and 2020. Are businesses investing enough in human capital to bridge any emerging skills gaps? Companies certainly aren’t investing enough in human capital to bridge the AI skills gap, and that’s a problem. It’s those businesses that upgrade their human capital that will get the biggest benefits from machine learning. But we should also remember that education, training, and development for AI are not solely the responsibility of companies. These things are also a government responsibility. Simply spending more is not enough. Education can and must be reinvented, using some of the same digital tools that are transforming business. Q: Based on several studies you have led, you’ve suggested that “unleashing machine learning’s potential will require a significant redesign of the task content of jobs.” What will that redesign look like, and how should business leaders be preparing now? Our research at MIT found that machine learning seldom — if ever — replaces entire occupations. Instead, it replaces or transforms specific tasks within an occupation. That means workers need to learn how to do their jobs differently and often learn new tasks at the same time. But it’s important to note that business process redesign is exactly the kind of task that can’t be automated, because it requires the kind of creativity that only humans have. Best practice here requires a deep understanding of the inputs, outputs, and constraints of each process, with participation from all stakeholders. Also, companies need to be willing both to experiment with incremental changes and boldly undertake large-scale redesigns, when these are called for. Q: You’ve also said that managers who know how to use machine learning will replace managers who don’t. What do managers need to know now? Machine learning is the general-purpose technology of our era, just as electricity was when it started to be more widely used in the early decades of the 20th century. It will transform every industry and function. As a result, managers need to understand the types of tasks that it can do better than humans, as well as those where it does not perform as well. So managers need to understand how the basic technology works. Adapting means understanding how to train workforces and find the right people. At the same time, managers need a sound grasp of which existing tasks can be automated, and even more importantly, what new products, services, and tasks are feasible as a result. Q: Tom Puthiyamadam of PwC has written about how the “half-life of skills” is rapidly falling due to constant technological change in the digital era. He suggests workers will need to continually learn and upskill to stay relevant. How can companies do this? The good news is that many of the same technologies that are speeding up the pace of change can be used to reinvent training and education. Massive Open Online Courses [MOOCs] are only one small example of how digital tools, machine learning, and an “experiment and test” mindset can radically speed up and personalize the acquisition of skills. These can also be applied to diagnose people’s strengths and weaknesses, and help businesses develop a holistic program for continuing skill improvement. Q: Finally, I’d like to understand how AI and machine learning technology could be harnessed to create more equitable societies. You’ve pointed out there’s no economic law that says everybody will benefit. As you put it, “It’s possible for some people to be left behind. It’s even possible, theoretically, for a majority of the people to be left behind while wealth is concentrated in a very small percentage of people.” Could you elaborate? We live in perhaps the greatest age of technical innovation in human history. Yet many people are not experiencing the benefits of this progress — despite actively seeking to more fully participate in and benefit from the educational and work opportunities it offers. In this era of profound digital transformation, it’s important to remember that business, as well as government, as well as government, has a role to play in creating shared prosperity — not just prosperity. After all, the same technologies that can be used to concentrate wealth and power can also be used to distribute it more widely and empower more people. At MIT, we are very proud to have launched the Inclusive Innovation Challenge [IIC] as part of the Initiative on the Digital Economy. Now in its fourth year, the IIC recognizes and rewards people and organizations that use technology in this way — to drive economic opportunity for workers. So far, we’ve awarded over $3 million to dozens of organizations, and as a judge, I’ve been amazed at the hundreds of high-quality applicants we get each year. It makes me optimistic to see how so many businesses are already using digital technologies to create more widespread benefits.